No Fee for Repro.Minister for Transport, Mr Noel Dempsey T.D. 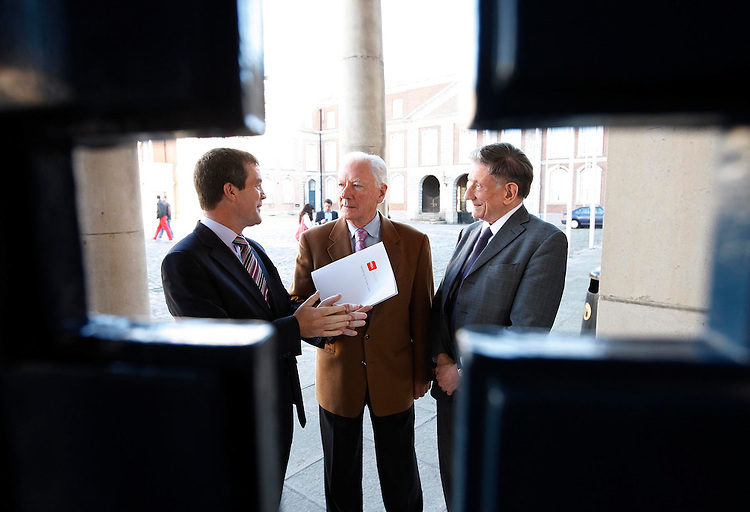 is pictured with Mr Gay Byrne, Chairman, Road Safety Authority and Prof Denis Cusack, Director, Medical Bureau of Road Safety, at a lecture on 'Alcohol and Driving' hosted by the Road Safety Authority (RSA) and the European Transport Safety Council (ETSC) in Dublin Castle today, attended by over 25 EU experts in road safety, examining the drink-driving situation in both Ireland and the EU as well as the interventions made in other countries to tackle the problem. Pic Robbie Reynolds.